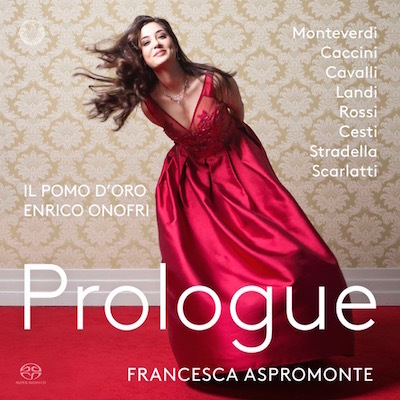 Francesca Aspromonte is quickly establishing herself as a shining star in the Baroque firmament. She has curated this album together with musical director Enrico Onofri, who leads il pomo d’oro. This album was recorded at the Teatro delle Voci, Treviso, 19-22 December 2016, and it is released on PENTATONE. The earliest operas contained prologues instead of ouvertures. In them, allegorical or mythological figures prepared the audience for the force and the passion of the events to come. First, the prologues were mostly very short, but they quickly became more important, longer, and almost small operas in themselves.